“To take wine into our mouths is to savor a droplet of the river of human history,” said the New York Times in 1967. 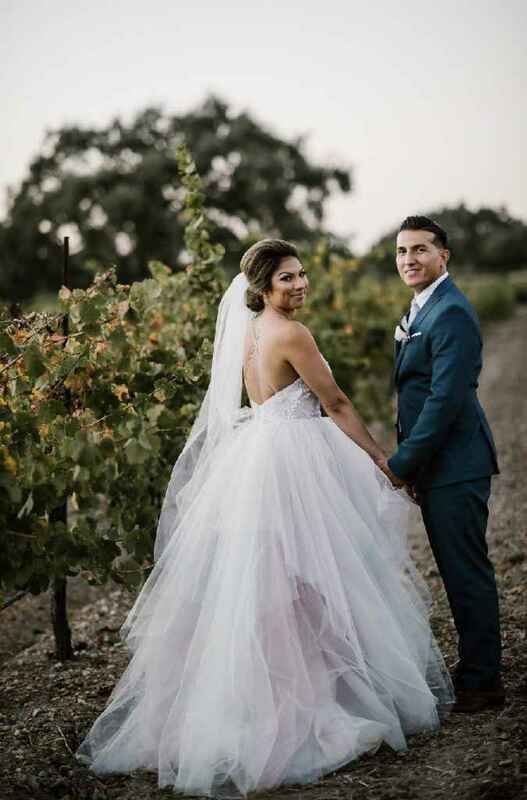 So it stands to reason that as timeless as wine is, so is the winery wedding experience, where one is surrounded by the very vines that provide that “river of human history” to the world who chooses to savor it. These Santa Barbara wine country vines produce wines that will be opened and savored in various locales for all sorts of reasons all over the world. 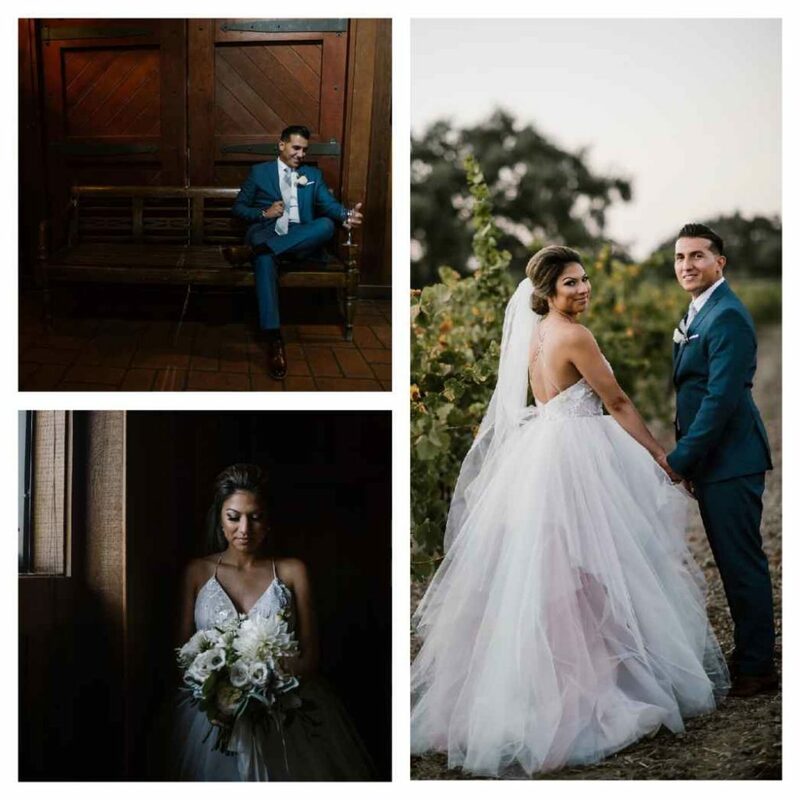 So, when Tanya and Mauricio said “I do” in the middle of the essence of what makes history, it was no wonder their wedding day was an ideal event to enjoy a bit of that history-making… all while they made their own as husband and wife. We were proud to be a part of it. 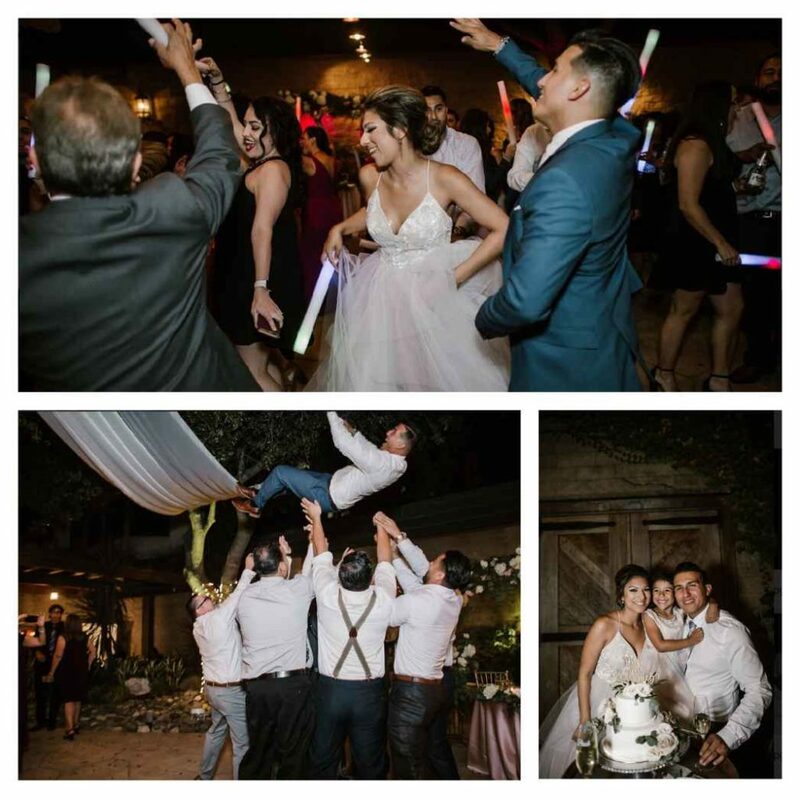 These newlyweds took full advantage of the epic wine country atmosphere and delicious Firestone wines and then flavored the evening with a delicious Mexican buffet to give tribute to the local rich Mexican history & heritage associated with Santa Barbara, giving their guests an experience that they would not soon forget. 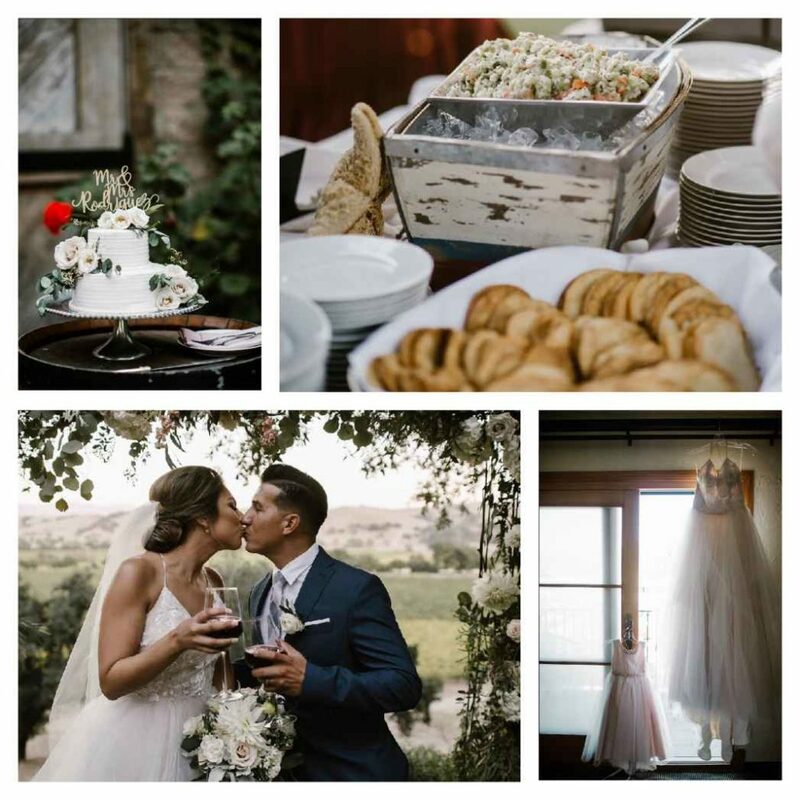 Wedding Menu Highlights: Hors D’Oeuvres: Live Station with Uniform Staff to Assemble Tostada: Ceviche Tostada Station: Fresh Halibut Ceviche & Mexican Rock Shrimp Ceviche, with Crisp Corn Tostadas, Fresh Limes, Avocado and Pico De Gallo | Fajitas & Enchiladas Buffet: Beef Fajitas- Tender Strips of Seasoned Beef with Sauteed Red & Green Bell Peppers, Cilantro & Onions ; Chicken Fajitas- Tender Strips of Seasoned Chicken Breast Sauteed with Red & Green Bell Peppers, Cilantro & Onions ; Vegetable Enchiladas ; Flour Tortillas & Corn Tortillas Served Warm; Spanish Rice Seasoned with Fresh Herbs & Spices; Pinto Beans; Fiesta Salad- Field Greens with Black Beans, Jicama, Tomatoes, Sweet Corn, Olives, Topped with Crispy Tortilla Strips and Homemade Fiesta Dressing; Tortilla Chips, Salsa, Sour Cream & Guacamole | Dessert & Coffee: Wedding Cake: Red-Velvet with White Buttercream Filling (2 Tier Small Cake for Cake Cutting Ceremony); Plus Churro Station- Mexican Churros Rolled in Cinammon Sugar, Served with Chocolate and Caramel Sauces.